Decatur, Ala. – Where there’s smoke, there’s fun and the third weekend in September will be filled with both when Riverfest sets up along the Tennessee River in Decatur. Set for September 15-16, 2017, at Ingalls Harbor, Riverfest brings together pitmasters from across the country for some fierce barbeque competition as festivalgoers enjoy family-friendly fun and live music featuring nationally known musicians mixed in with some local ties to Decatur and the surrounding areas. Hosted by Big Brothers Big Sisters serving Morgan, Lawrence, Winston and Cullman counties, Riverfest is recognized by the state of Alabama as an official State Barbeque Championship competition and is sanctioned by, and conducted under, the rules of the Kansas City Barbeque Society. 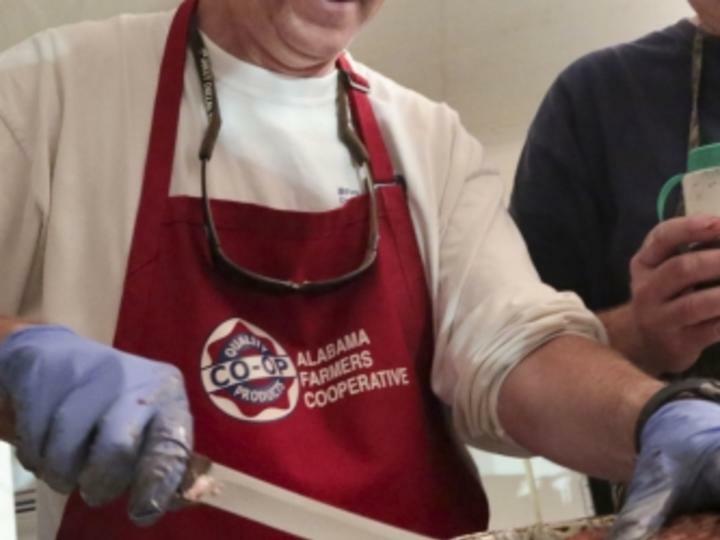 Riverfest is also the third and final leg of the North Alabama Triple Crown, a dual sanctioned barbeque competition for North Alabama. The winner of the Triple Crown will be announced and presented a trophy and $1,000 check at the event. Competing for prize money and trophies, the barbeque cook-off is open to professional and amateur teams. There will be live music Friday and Saturday nights and slated to perform are bands and performers representing a variety of genres. Included in the line-up are Dirt Road Diamonds, Dean, Shawna P and the Earth Tribe Funk, Friday night headliner Tony Jackson, McTazz, Matt Prater, Wade Oliver and the Good Ole Boys, The Ben Parker Project, Jo Smith and Colt Ford, the headlining act for Saturday night. In addition, the event is hosting a weekly Riverfest Voice competition at The Brick Deli in Decatur. Contestants are invited to participate in the competition each Thursday night in August and the overall winner will perform on stage prior to Colt Ford on Saturday evening. Two major additions to the event this year are the Jack Daniel’s Experience Truck (JDX) and the Smokin’ With Smithfield Celebrity PitMaster Station. Making its first appearance in the area, the JDX offers a miniature tour of the famed Jack Daniel’s Distillery outfitted in an 18-wheeler and trailer. The Smokin’ With Smithfield trailer will host a celebrity pit master that will be demonstrating professional grilling procedures and giving out hints and suggestions along with free samples. In addition, food vendors offering barbeque and other traditional festival food will be on hand and a children&apos;s area will keep the young ones entertained. The festival runs from 10 a.m. to 11 p.m. on both days. A one-day ticket is $15 per adult and admission is free for children under 10 years old. Weekend passes are $25 per adult and includes admission for both days. Tickets are sold at the gate and are available online at www.bbbsmcal.org. Proceeds benefit Big Brother Big Sisters of Morgan County, Inc. For more information on Riverfest, visit www.bbbsmcal.org/riverfest.html.